I'm curious what, if any, are the likes and/or dislikes of Win 10. The constant changes of my personal choices is enough to make one crazy. The snooping, which can be stopped, is another concern. Thoughts??? What is the anti-spy program you talk about? Windows 10 has a pretty sleek look in my opinion. I have explored it for a bit. I still prefer Windows 8 overall currently but eventually might make switch. I'm no expert with Win 10 yet. but for those who use it on laptops for instance, in case you are not aware, I suggest that you go into your network settings and disable the "Wifi Sense" and turn off the Auto Connect to Open Wifi and hot spots. here are some instructions I found via Google. jrockz3000 wrote: I'm no expert with Win 10 yet. but for those who use it on laptops for instance, in case you are not aware, I suggest that you go into your network settings and disable the "Wifi Sense" and turn off the Auto Connect to Open Wifi and hot spots. Thank you for the share. Will note of this for whenever I decided to switch to Windows 10 in the future. You're quite welcome Riser. I'm glad that my tid bit of info may come in handy. I've installed and deployed Windows Enterprise on some devices at work already and although it may just because it is the Enterprise addition, I've noticed that at least on MS Surface and Surface Book devices, the system restore is disabled = is not automatically creating restore points. Something anyone who is currently using Win 10 on any type of computer may want to check into on their devices if you do want automatic restore points. renaming and turning tools into apps; making old tools hard to find. computer user wrote: I'm curious what, if any, are the likes and/or dislikes of Win 10. The constant changes of my personal choices is enough to make one crazy. The snooping, which can be stopped, is another concern. Thoughts??? Even as I begin to type this, I know this post will turn into a rant. I don't run 10 myself but I have built pcs with it or installed it for some family members who want the latest thing... So far I'm yet to find a single redeeming quality. As far as I can tell it's not faster or prettier. It isn't more intuitive or easier to navigate and every second built in "feature" is simply trying to sell us something. The level of phone home and auto update built into 10 is truly appalling. Take the intel compute stick I purchased for my mum. All she needs is a simple email terminal with occasional web surfing capabilities and even more occasional document writing. And if it plays solitaire, all the better. Nothing any OS couldn't handle. In fact, up till I bought her this "upgrade" she was happily doing this on an old laptop running XP lol. So I spend a few hours deleting, hiding and disabling all the junk she doesn't need and will never use. I give it chrome with an adblock. Open Office. And an old copy of solitaire off her previous pc because the new one is an online subscription based pay to play version lol... ffs? what? etc.. I disabled every user accessible phone home and auto update option I can.. And a month later, anniversary update... Can't be blocked or stopped... I get a call saying the pc is doing wierd things and other things are missing... Sure enough, solitaire is deleted.. Chrome is no longer the default browser, most of the adware junk is back in the start menu.. And all the phone home "features" are enabled again. 3 times it's happened now.. the most recent one a few weeks ago bricked the built in wifi in the totally win10 compliant intel device... I've told her, next time it craps itsef, she is getting this cool new operating system called Linux... lol. Anyway, thanks for putting up with my rant. Safe to say, I'm not a fan. Does anyone get the annoyance of not being able to change the default apps. 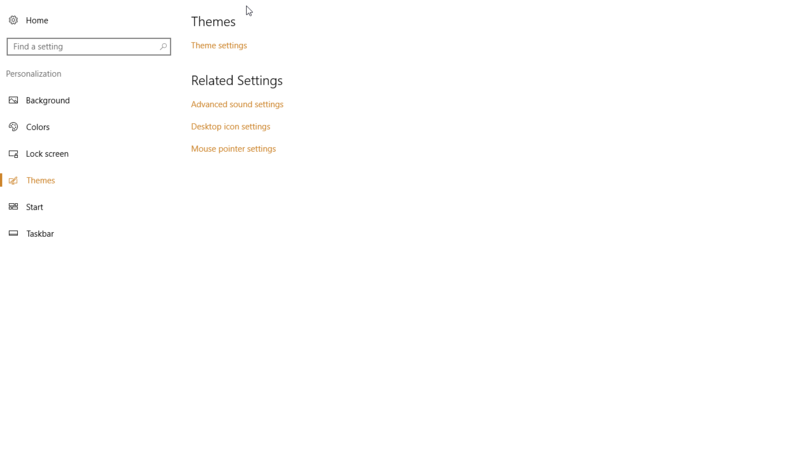 After clicking personalize on the left side click Themes then Change Desktop Icons will be on the right hand side. elskankinloco wrote: Does anyone get the annoyance of not being able to change the default apps. 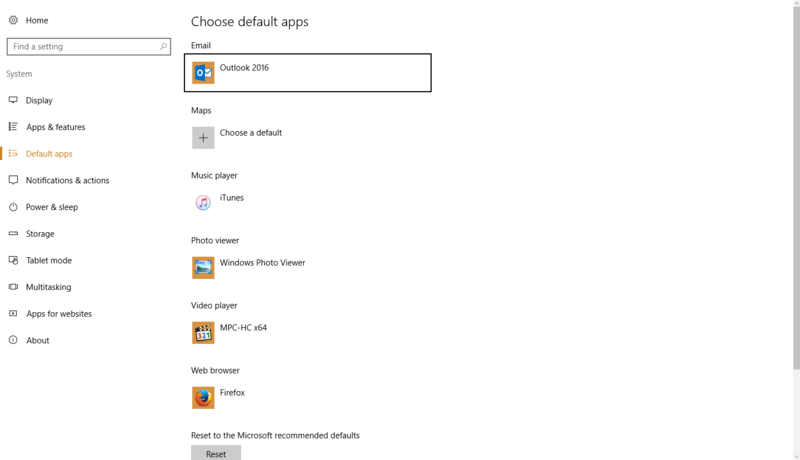 Press the Windows Key and in the start menu type "Default" and you will see a thing pop up "Default Programs", you must use this screen to change the defaults. This was great - thanks. There are benefits with 10 vs 7 and also the other way around. All in all since Microsoft pushes the public pretty hard to sooner or later end up with Windows 10 its better to just embrace the flaws and find solutions to them instead of hanging on to an aging version. The secret to running win10 is to chop the hell out of it and disable everything not essential, and replace needed utils with open source alternatives. Start with black viper,and go from there. In the end it should look like Win2k but with the speed of a cray. b. All the bloatware crap that comes with it that you have to uninstall/remove via powershell. c. Constant changes to Win10 that breaks Win10 half the time. d. Lack of configuration, have to get Enterprise OS for any customisation. No major complaints so far. Merv wrote: Even as I begin to type this, I know this post will turn into a rant. I don't run 10 myself but I have built pcs with it or installed it for some family members who want the latest thing... So far I'm yet to find a single redeeming quality. As far as I can tell it's not faster or prettier. It isn't more intuitive or easier to navigate and every second built in "feature" is simply trying to sell us something. Set the internet connection as 'metered' and this won't happen.